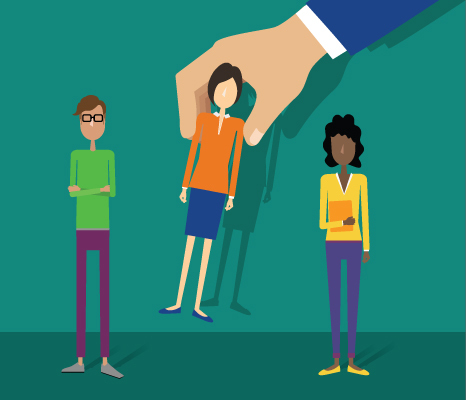 Handling employee leave requests related to medical or family issues can be tricky. First, you need a working knowledge of the various laws governing employee leave, including federal laws (FMLA, USERRA, ADA) and an ever-growing list of state and local laws. Then, you need a roadmap for evaluating the request to determine which laws apply. Finally, you need to know how to manage the day-to-day absences from day one until the granted leave is complete. This free webinar will address your biggest concerns and put you on firm footing. 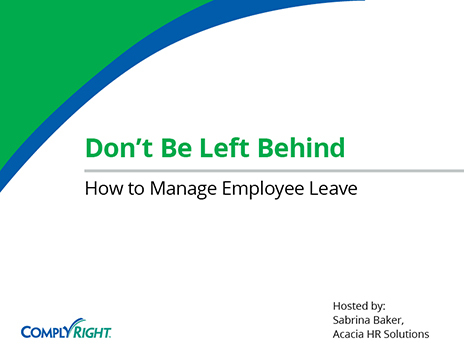 You will be guided through the primary laws that come into play with employee leave. We’ll also share practical, hands-on tactics for fielding a leave request, managing the time off and, most important, preventing abuse. Give your employees an organized way to submit time off requests that you can’t lose track of with the Time Off Request Smart App from HRdirect.